The official relief agency of the Catholic Church in England and Wales. The aim’s of the CAFOD group formed in St Marie’s in the 1980’s is to promote human development and social justice in witness to Christian faith and Gospel values. The Group has a commitment to supporting work overseas where there is suffering from extreme poverty and where drought, unfair trade rules, conflict, debt and HIV and aids persist. There are monthly collections including participation in nationally held Lenten and Harvest Fast Day appeals. The first meeting was in Lent 2002. There are not regular meetings, but efforts are made as and when it proves necessary to create awareness of, oppose and denounce injustices in the world; support those who suffer for justice and educate people in their rights and needs of others. This has specially included Iran – prayers for peace, refugee relief fund, aids/HIV appeals and Christmas appeals for the homeless local people. The group would welcome any new members from whatever background of faith. The Mill Hill Missions was founded in 1866 and the red money boxes, into which any loose change is deposited, have been homes in Standish since before 1936. Four times a year a team of 24 volunteers give up their time to empty the boxes within the area. When added together over £3million a year has been give to APF-Mill Hill Missions around the world. New volunteers to have boxes in their homes or to collect are always welcome. The group was formed after it was felt that there was sufficient personal experience of someone close dying that this could be used to comfort others who found such an experience difficult. They offer help and support to anyone in the community whether in a group situation or on an individual basis. A few days after the funeral, a card is delivered personally to the next of kin, conveying sincere sympathy and prayers from the whole community. A Book of Remembrance is kept at the back of church to record those who have died, with a Mass being said for them regularly. It gives many people a sense of comfort to know that their loved ones are remembered. The Knights began in Glasgow after the end of the First World War to help men who were returning from the war and who had no jobs or homes. The Standish Council was formed in 1964. The Knights are open to any practicing Catholic men. They work together helping those less fortunate then themselves, by fundraising for the national charity and whatever is chosen by the Standish Council at home or in the third world. 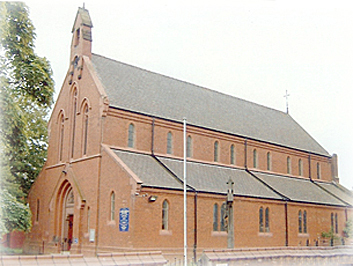 Formed in 1990, there are a small but dedicated number of members, not only from St Marie’s church, but also from the other churches. They try to follow the example of Mary, the Mother of Jesus, in giving aid and compassion to those in need. The meetings are on the last Tuesday of every month after the 7.30 pm Mass. There is a varied programme of speakers, outings and fund raising events. As a non-profit making organisation, all monies go to the many causes in need of help. Anyone over the age of 60 can join this voluntary group run by its own member’s committee. The meetings are held in St Marie’s Hall between 1pm and 3pm every Thursday. The aim is to improve the quality of life of the members by meeting together for refreshments, outings, sharing local news and also those special milestones in their lives. Transport is provided to the eligible by the Ring & Ride bus service. Contact Tom and Bernie Griffin 01257 422225. At both parish and archdiocese level, there are opportunities for young people to socialise and worship. The Youth Alive gathers on the first Sunday of each month to allow young people to take part in services that are aimed specially for the youth, this is followed by time for social meetings where new friendships are made. Young people from the parish have been part of the Lourdes Youth Service that plays a vital role as part of the archdiocesan pilgrimage each year. Within the parish, the youth have been involved as readers, Eucharistic ministers, in preparation for confirmation and members of the Music Group. At Sunday morning Mass, the children attend the Children’s Liturgy in the Chapel room to hear a simplified version of the Gospel of the day. According to the Gospel message, this may be accompanied by hymns or acted out. At other times, displays are created to stimulate the senses. On re-entering the church, the children present their work on a display board. Thus the children can place themselves in the centre of the Gospel story and become involved in the very atmosphere as it was at the time. The Guides at St Marie’s were founded in 1981 and celebrated their 25 th Anniversary in 2006. They meet weekly, working on projects and craft work, with the emphasis on learning through fun. Each year there is a weekend residential event with lots of fresh air, teamwork challenges and outdoor activities. Guides, along with the Brownies and Rainbows, attend Church Parade each month and help provide refreshments for parishioners. They are also there to support parish events. Although each group have waiting lists, they welcome new members. Rainbows age range is 5 to 7; Brownies 7 to 10 and Guides 10-13. The choir sing at 11.00 am Mass each Sunday. Our new pipe organ is in use and would love to invite anyone interested in enhancing our worship and liturgy through singing and music to join us at this exciting time. At the moment, we have a practise in Church on Thursdays at 7.00 pm. For Weddings and Funerals, we have a joint choir with St Bernadette's, and St Joseph's, Wrightington. The ability to read music is not necessary, but a reasonable voice and a good sense of fun will guarantee a place. Please contact Anthony on 01257 451465 or pop upstairs for a chat after 11.00 am Mass.